CHECK OUT WHY THE XMAN LEVEL IS AWESOME. 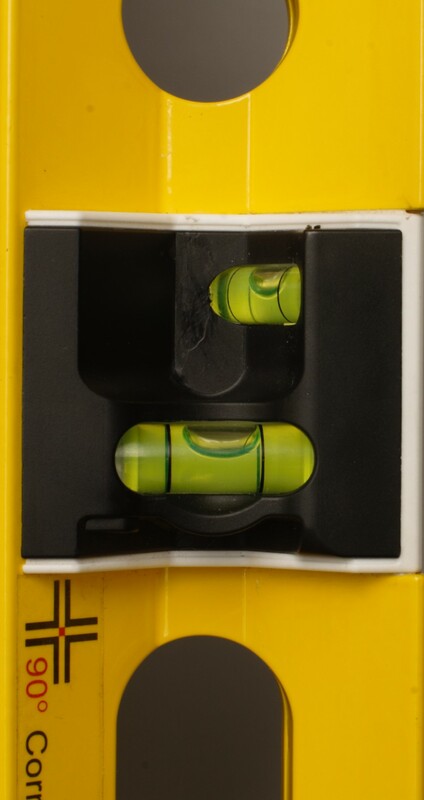 The vertical post level feature allows the user to level vertical surfaces with one tool. Move the object not the level. Rare earth magnets allow this tool to be applied to any magnetic surface, making leveling a breeze. The X form allows items to be leveled on multiple plains. This gives the user more a more efficient level. Bulls eye leveling makes floors and all flat surfaces a breaze. Being able to see the level from 360 degrees because of our cut away ads convenience to any job. The 45 DEGREE ROTATIONAL DIAL allows the operator to check angle up to + and - 45 degree angels. The dial can be set to maintain the level of angle needing to be achieved. With the Xman Level the board can be placed into the groove and held with ease. Download our Sales flyer Here.